Using an innovative design combining tough-as-nails mesh and triple density molded foam, COMFORT LITE™ Signature Series Chest Protectors are lighter, more ventilated and better fitting without sacrificing protection. 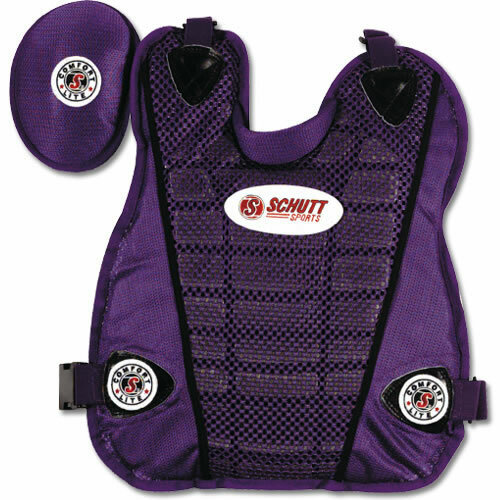 With easy to clean interiors and removable and washable outer mesh shell, COMFORT LITE™ is easy to maintain like no other chest protector. Short Style - 14-1/2"L x 19"W. Specify color.